The couple in the row behind me. He was trying to teach her how to play Settlers of Catan. He honestly did not stop talking during the entire 3 1/2 hour plane trip, and she kept the Jack & Cokes coming. The more he talked, the more she drank. She got drunk and he got annoyed with her inability/lack of real desire to learn the stinking game in the first place. Hilarity ensued. 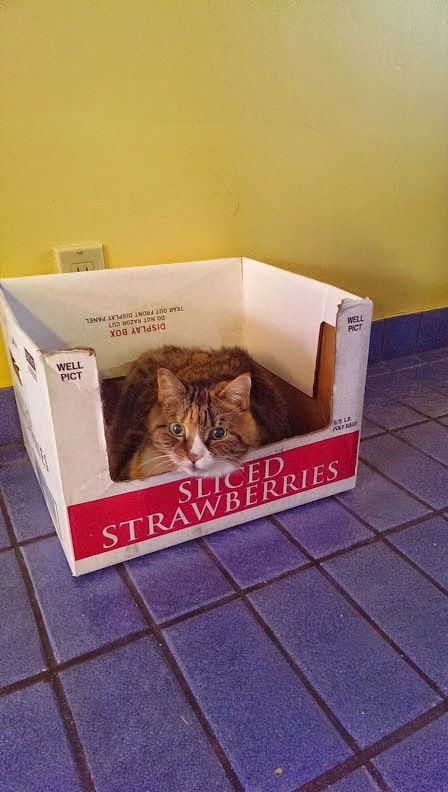 My friends' elderly cat spends most of her time sitting in an empty Costco-sized strawberry box in the kitchen. When the new neighbor passes by the kitchen window, he gets a partial view of the cat's head poking out over the top of the box. 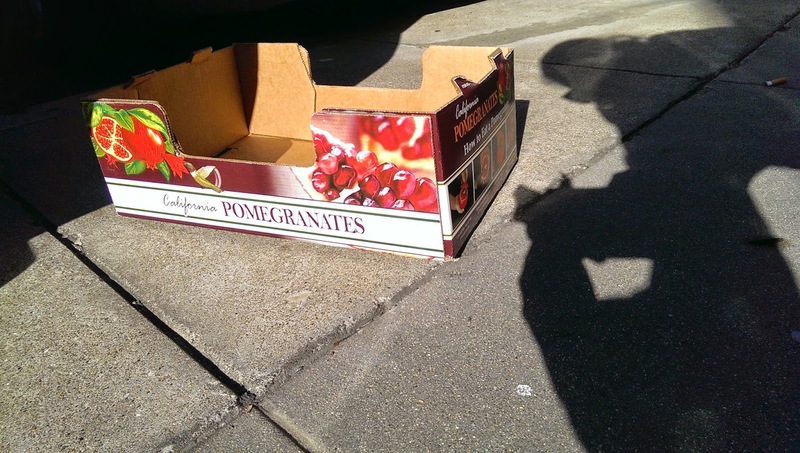 The new neighbor doesn't know her name and thusly refers to her as Strawberry Box Round Head. Of course, I now need to take pictures of every box I see on the street, text it to my friends, and affix it to the cats new moniker. For example: Pomegranate Box Round Head and Mac Fries Round Head. Hilarity ensues. 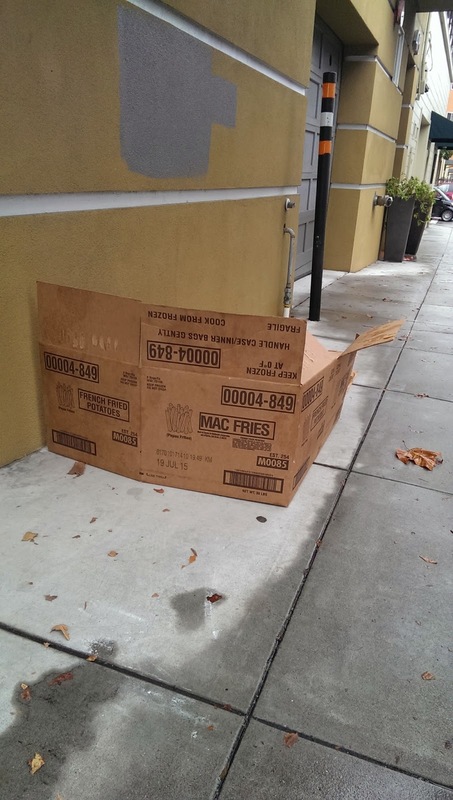 Why not Mac Fries Round Head? Yum!